Manila, Philippines - After coach Lea and Bamboo, it's Sarah Geronimo's turn tonight, July 12, 2014 in the much-awaited last leg of 'The Battle Rounds' of the top-rating and Twitter-trending “The Voice Kids” Philippines. Watch the Popstar Princess' hands-on expertise to coach her young artists in a bid to create the strongest team that will battle with Team Lea’s Darlene and Tonton and Team Bamboo’s Juan Karlos and Edray in next week’s live Semi-Finals. After battling it out within their respective teams, the young artists will face the public’s verdict in the live Sing-Offs at Resorts World Manila’s Newport Performing Arts Theater. Who will win and who will fail to make it through? 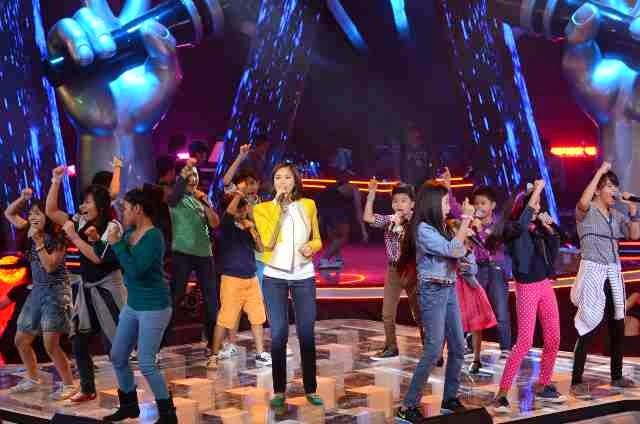 Watch “The Voice Kids” on Saturdays, 6:45 PM and Sundays, 7:30 PM on ABS-CBN’s Yes Weekend.